As the Anthropocene continues to befall us with unprecedented and extreme climatic shifts, For The Wild takes heed to the call for scientific research to be adaptable and holistic. 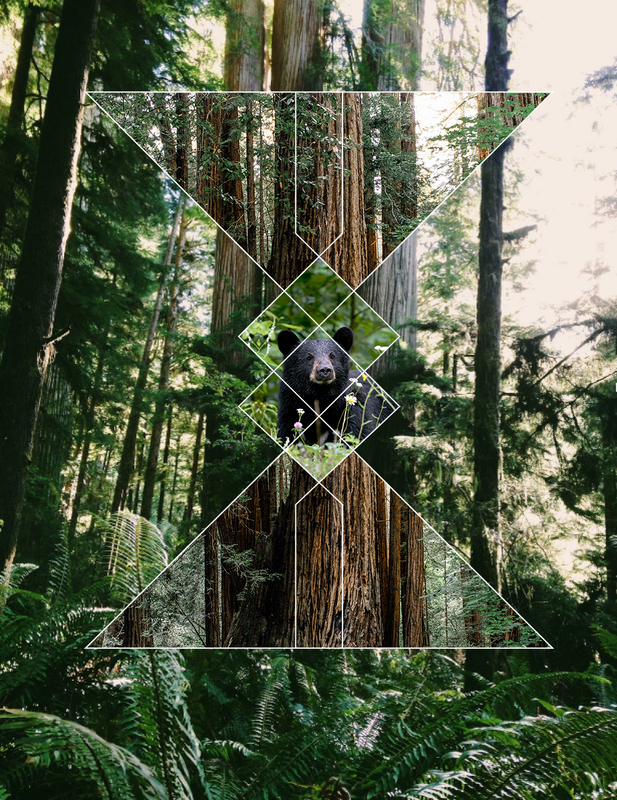 With recognition that natural systems are fluid and dynamic, we affirm that that true ecological renewal lets the complex intelligence of nature lead the way. The synthesis of rigorous academics and traditional ecological knowledge (TEK), stemming from relationships with local First Nations, will be paramount in all of our research initiatives. Disjointed, degraded, and diminished habitat, compounded with the limited seed dispersal of long-lived conifers, has set a stage in which many forest species are unlikely to be able to naturally migrate in unison with severe climate change. In response, For The Wild is deeply interested in exploring the possibilities of assisting the northward migration of redwood varieties towards habitable climates of the future. In connection to our Biodiversity Enhancement Test Plots, our skilled team is keen to delve into research topics such as: assessing techniques of native plant and fungal propagation; fungal and floristic diversity of regenerating forests in all successional stages, building upon the existing 70+ years of logging and regrowth data of our surrounding area; rare plant abundance in intact stands; mycelial interactions and compatibility with local plant species; mycoforestry; soil microbiology; soil water and nutrient retention; experimental selective thinning; redwood canopy dynamics; seed bank assessment in old-growth stands; salmon stream restoration; assisted migration. Our research will be replicable and accessible, guiding others to implement biomimetic reforestation practices particular to their unique bioregion. The research center will be multi-scalar, encompassing studies applicable to individuals or small communities interested in encouraging biodiversity and climate resilience, as well as to logging companies hoping to integrate renewal strategies into their operations. Additionally, we hope to contribute novel findings to scientific literature and publications. Coast redwoods (Sequoia sempervirens) stand supreme in their ability, as the tallest, most bio-massive and structurally complex trees on Earth, to sequester three times as much aboveground carbon as any other forest type. 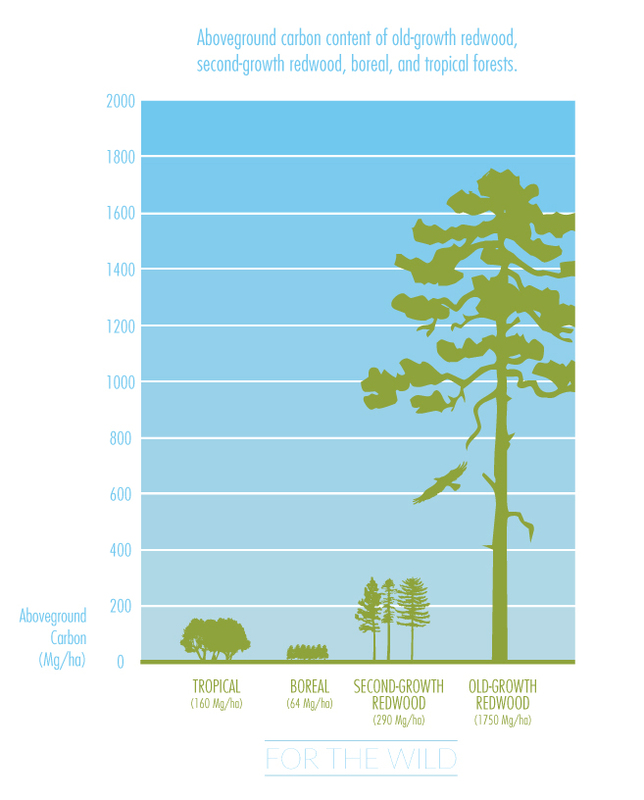 In one year, a single mature redwood can absorb the amount of carbon dioxide equivalent to what a car emits during 26,000 miles of driving. Even young redwood saplings uptake carbon at a more rapid rate than most full-grown trees. Yet despite the incalculable biological wealth, climate mitigating potential, and sheer magnificence of coast redwood forests, less than 5% of original old-growth stands remain and only 2% of the entire range is protected. and phasing in For The Wild's annual report. If you are an environmental organization, research center, indigenous nation, native plant nursery, community volunteer, or Cascadian land-owner curious about plantings on your property, and are interested in collaborating, please reach out. We are eager to grow our community of Earth tenders and stewards!